Less than 24 hours after the latest iPhone production cut was revealed, the National Business Daily (via 9To5Mac) is back with a new report that reveals how Apple is already trying to improve sales in China. 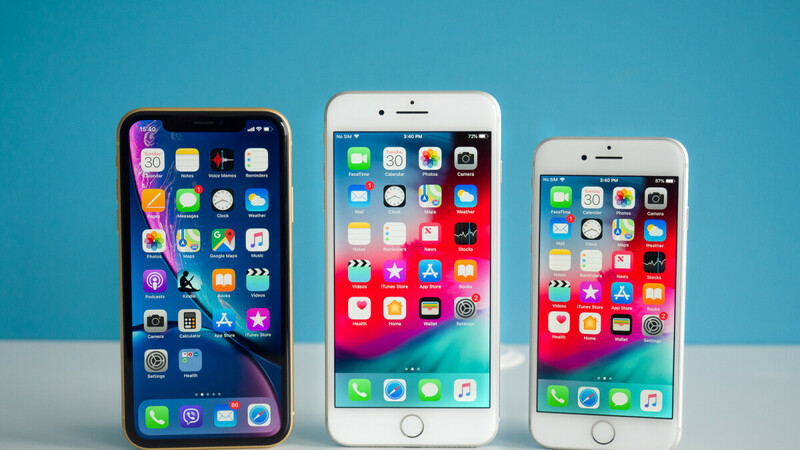 The news outlet received word that, after experiencing weak demand throughout the fourth quarter, Apple has now applied price cuts to the iPhone 8, iPhone 8 Plus, iPhone XR, iPhone XS, and iPhone XS Max models across China. On average, most models are seeing price reductions of around $59 (400 yuan) – something all customers can take advantage of, not just does trading in all devices. The biggest price drop, however, has been applied to the 64GB iPhone XR which is now being offered to official resellers for roughly $770 (5250 yuan), around $66 (450 yuan) less than before. While this whole development is certainly good news for consumers in China, there is one small asterisk associated with it. Specifically, the discounts are being offered to Apple Premium Resellers or licensed online stores. This means that the retail prices at these stores will be higher for consumers – they need to make a profit. Similarly, it also means that the potentially lower prices aren't available through Apple Stores or its online website, although these do still offer reductions if an old model is replaced. For now, it’ll remain to be seen if similar discounts will reach other markets across the globe. After all, China isn’t the only country with high iPhone prices. But if this does happen, a prime candidate would be India where Apple’s strategy is largely ineffective at the moment. that is a weak price drop. I think apple are testing the water, they will know in a month or so if sales have picked up with these discounts. The real nasty thing Apple has done here. Is resellers have already purchased these iPhones from Apple. So the resellers have to drop their prices. Yeah, okay. Apple is truly the scum that floats on top of the water. So if they give discount they are scum, if they don’t give discount, they are greedy!! That's now what has happened though. Apple has lowered the prices at which it sells iPhones to resellers in China. These then choose at which price to sell the phones as it's up to them to make a profit. I thought everything was all rosy in Apple land? At least according to the iSheep on here. Price drops, production cuts, collaboration with competitors etc. That humble pie must taste really good. So Samsung or any Android manufacturer doesn't profit from their phones, but Apple? Keep in mind any phone you buy in which costs between $175-$350 to manufacturer and being sold to "you" for $700-$1000. They are making money off you. A rare price drop by Apple mid-cycle. Apple usually never drops it's prices except when a new device comes out. Desperate times eh, Apple? So this means they will also drop prices in the U.S.? By how much? $5? That’s first reduction but it’s actually not reduction if you compare thre price with US price it’s still around 760usd and I don’t think it’s any loss to apple . From the start Apple should have priced their phones according to this... XR = $599, $649, $699 XS = $799, $899, $999 XS Max = $899, $999, $1099 Problem solved for higher unit sales, but ASP drops by 20-30%. That is very unrealistic. To me, this would be a much more realistic pricing scheme for Apple: XR= $699, $749, $849 XS= $899, $1049, $1249 XS Max= $999, $1149, $1349 It would be sufficient to keep profit margins high while also boosting demand – Offering the most expensive model at under $1,000 would be good marketing from a psychological point of view. I see what you're saying, but that should have been the price points Apple should have started at with my pricing strategy. Now with this years iPhone's do you think consumers are willing to pay the same or $100 more per storage tier, just because of triple camera and A13 processor. I don't think so. Apple needs to rethink their pricing strategy for continued growth rather than more margin and higher ASP. Agreed! Apple should have priced it your way from the beginning (iPhone 8 and X) for customers to get used to the higher price and 1-3 years in the future, increased the price to current levels. Yes I appreciate it. Yes as I believe consumers are only willing to justify higher spending if the value is there. Right now...iOS user experience can be achevied with similar results on a XR and you won’t a miss a beat having a XS. So to make Apple more unique they must create a niche product like the Note to make another product standout. I’m not sure how they will do it, but if it’s Apple they will figure it out. Apple music on android, iPhone Price drops, iTunes on Samsung TVs ... what next? MacBooks with Windows 10?!? No. Apple’s next and new revenue stream will be collobaroation with manufactures to extend their services. I can see Apple growing their services quicker than any other product that is released now. Makes sense. Smart move on Apple to reach out to those who want Airplay without an Apple TV or wider smarthome comparability with HomeKit. Selling Apple devices on Amazon is giving Apple more exposure and higher likelihood of more sales as well. XR: $650, $700, $800 XS: $800, $900, $1050 Max: $1000, $1100, $1250 They definitely need a $650 standard flagship.